3 What are MDF Stethoscopes? 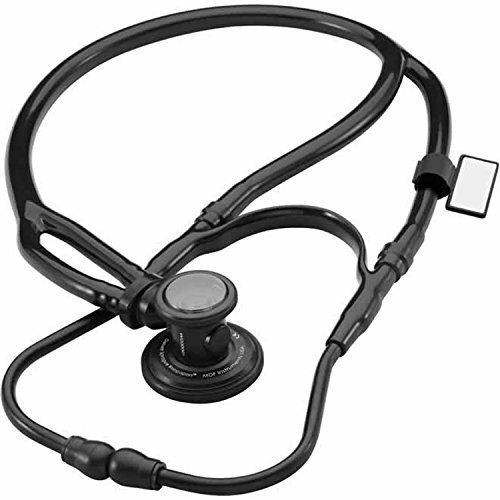 Stethoscopes are an indispensable tool for health practitioners. Having a good quality stethoscope is of utmost important because it will facilitate proper diagnosis of patients. Due to the number of different models available, it would be difficult to choose especially if you are new to the medical field. This guide will review the best MDF stethoscopes to help you choose the most suitable product for you. MDF Instruments is an American company that is based in Los Angeles, California. They are famous for their handcrafted medical instruments that they produce since 1971. Several awards have been given to them by different medical association because of their contribution to the medical practice. They have production facilities and sales office in 3 continents that distribute MDF instruments in over 85 countries. They are a known supplier of medical instruments to world health organizations and a major supporter of several medical missions that helps improve the lives of impoverished people around the world. Their commitment to quality is evident in the use of the highest grade materials for their goods. Consumers can expect the highest accuracy and durability from their products. Every component is designed with the health professionals and patient in mind to ensure that the finished product is able to meet or exceed the expectations of the user. MDF Instruments are designed to optimize sound delivery and they ensure optimal performance by hand finishing each instrument. Strict quality control guarantee that the medical tools are super-duty and adheres to the most stringent requirements of precision and accuracy. The lifetime warranty that they give to their products is an attestation to the quality of their products. They are reassured that their instruments will last very long and they are willing to replace or repair any component of the stethoscope that is defective. Another assurance they give their customers is the Free-Parts-For-Life Program. Consumers who were able to register their stethoscopes are able to receive replacement parts free of charge. All they have to do is to provide the item number of the stethoscope, shipment address, description of the parts needed and preference of clear or black parts. This type of after-purchase service gives additional peace of mind to the consumers. Most of the negative reviews are based on the inability of the stethoscope to perform as well with the more expensive ones. Some of the complains include inability to detect faint sounds, failure of the tubing to block out the sounds of a noisy environment, too long or too stiff tubing and the chestpiece being too heavy. These complaints are entirely dependent on the experience of the user and would need actual use of the product to verify. Here are some of MDF stethoscopes along with their specifications to help you decide which one is the best for you. The MDF Acoustica Deluxe stethoscope is a lightweight instrument that produces high quality acoustic. The dual-head chestpiece, made from lightweight aluminium, is precisely sculpted and hand polished to provide the highest performance and durability. Its full-rotation acoustic valve has a green dot to help the user identify the active sound channel. Both the large bell and the ultrasensitive diaphragm are sealed with a non-chill retaining ring to secure acoustic transmission and provide patient comfort. A thicker, denser, latex-free PVC was used for the acoustic tubing. This material blocks out environmental noise and prevents cracking and breaking that can occur due to repeated use. It has a patented metal-alloy chamber to ensure the opening of the tubing that allows maximum sound transmission into the headset. The chrome plated brass headset is hand polished and pre-angled for the wearer’s comfort. Its patented internal dual-leaf spring construction inside the tubing increases the durability. Soft, phthalate-free silicone eartips are connected to the headset through patented SafetyLock™ eartip adaptors. The eartips comes in 3 sizes to ensure proper fit and isolation of sound. This adult stethoscope is 29.5” in length, weighs 5 oz. and costs around $25.50. It is currently available in 12 colors and an engraving can be placed on it with an additional charge. Other accessories included in the package are a spare ultrasensitive diaphragm and an ID tag. It is covered with a lifetime warranty and is included in the Free-Parts-for-Life-Program. Professionals who purchased this instrument are able to appreciate heartbeats and fine distant breath sounds. They find it to be far better than the ones which are twice its price. The sounds heard were very clear and not muffled. The eartips were very comfortable and since it comes in different sizes, they were able to find the one that fits them well. It was lighter compared to other brands and very easy to carry around. One user also commented that the length of the tubing is enough to maintain a comfortable distance between him and the patient. The Deluxe Sprague Rappaport X stethoscope that has an X-configuration dual-lumen acoustic tubing is the most advanced apparatus under the Sprague Rappaport line. The configuration of this tool eliminates the rubbing of the tubing which causes acoustic interference that is usually present in this type of stethoscopes. The handcrafted dual-head convertible chestpiece is made from zinc-alloy. The acoustic valve system can be fully rotated to activate the bell or the diaphragm. This handy instrument comes with adult, pediatric and infant bells that can be replaced with the adult and pediatric diaphragm. The acoustic tubing is made from non-stick, PVC-free latex. Its unique structure maintain 2 uninterrupted sound transmission channels that preserves the acoustic integrity while blocking out external sounds. The hand polished stainless steel headset has the MDC patented internal dual-leaf spring construction that improves its toughness. The soft, silicone eartips are connected through the SafetyLock™ eartip adaptors. The stethoscope is 31” long and weighs 9oz. It is available for $51.00. There are 6 colors that buyers can choose from and engraving in the chestpiece is also offered by MDF. Accessories that comes with the purchase of the item are 2 extra sets of silicone tips, spare adult and pediatric clear PVC diaphragms, pediatric diaphragm assembly, pediatric bell, infant bell and ID tag. There is a lifetime warranty for the instrument any parts that breaks down are replaced by MDF for free. The deluxe Sprague Rappaport X stethoscope has impressed the health professionals who purchased it. One user said that the sound heard have depth that not present to other stethoscopes in the market. There is a difference with the acoustic quality heard with the diaphragm and bell which is the way that it should be. The X-configuration of the dual-lumen eliminates the sound caused by the rubbing of the tubes usually found in the traditional Sprague stethoscopes. Generally, the performance of this model is comparable to that of more expensive ones. 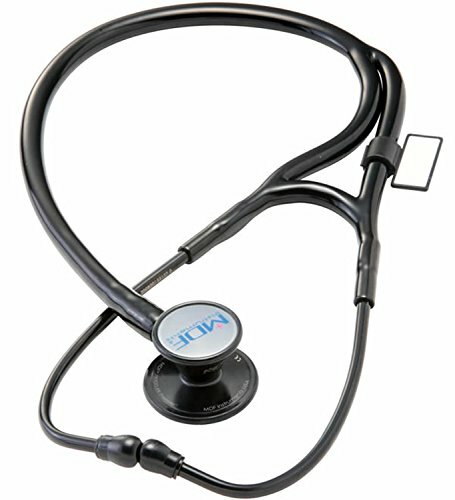 The ER Premier Cardiology stethoscope delivers unparalleled performance as the ultimate diagnostic tool. The chestpiece is handcrafted from premium grade acoustically-superior stainless steel. The patented full-rotation acoustic valve stem is fortified with SoundTight™ GLS technology to seal in the sound. It also has the green dot indicator to show which sound channel is active. The chestpiece that is fitted with an adult and pediatric ultrasensitive diaphragm is able to transmit lung and heart sounds that ranges from 100Hz to 1000Hz. The screw-on attachment can convert the pediatric side into an extra-large cone-shaped bell that can amplify and isolate low frequencies sounds from 20Hz to 100Hz. All of the bells and diaphragms are crowned with a ring that has non-chill retaining properties. The dual-lumen non-stick acoustic tubing is made from latex-free PVC. The quality of the tubing shuts off the surrounding sounds. The Ergonomax™ headset has the internal dual-leaf spring construction to provide additional strength. Phthalate-free silicone eartips connects to the hand-polished, pre-angled stainless steel headset through the SafetyLock™ eartip adaptors. This diagnostic apparatus is 31” inches long and weighs 16 oz. This cardiology stethoscope costs $130.00. 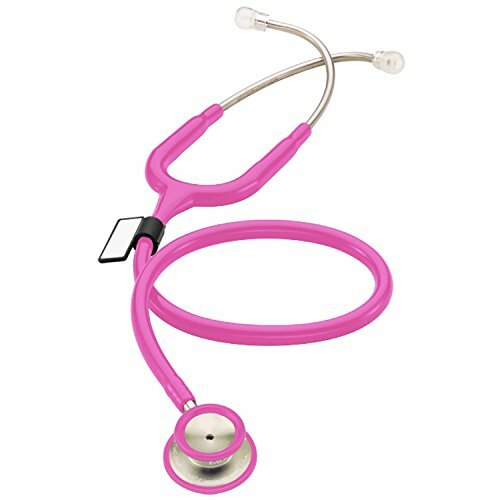 This stethoscope is available in 6 colors and those that will buy in the official website have the option to have the instrument engraved for a few dollars. Apart from the cardiology bell attachment, other included accessories are 2 extra pairs of silicon eartips, spare ultrasensitive diaphragm and ID tag. It has a lifetime warranty and replacement parts are given free of charge. There are mostly positive reviews about the quality of the sounds heard through this stethoscope. The lung and heart sounds are clearer and louder compared to the more expensive ones. The apparatus was able to work both quiet and noisy environments and it was sensitive enough to pick up the differences in murmurs. However, some find it to be too heavy and the pediatric diaphragm needs some prying to be removed. They prefer something that can be converted more easily. The MDF MD One stethoscope provides an accurate auscultation of heart and lung sounds with great integrity and clarity. It has a dual-head chestpiece that is handcrafted from high quality stainless steel. The chestpiece is controlled with the full-rotation acoustic valve and a green dot indicator shows which sound channel is active. The extra-large bell and the ultrasensitive diaphragm has a ring that stays warm in a cold environment for patient comfort. The latex-free PVC tubing has a Y-configuration and effectively blocks off sounds from a noisy environment. This quality of the materials used in the tubing makes it resilient and less prone to breaking despite repeated use. An internal metal-alloy chamber placed inside the tubing maintain it open for maximal sound transmission. The length of the tubing will prevent the health professional from standing too close to the patient. Soft silicone eartips used in the apparatus ensure proper fit and sound isolation. The overall length of the instrument is 29.5” and only weighs 7oz. This stethoscope has a price tag of $55.00. There are 17 colors to choose from and the customer can have it engraved when they purchase it in the MDF website. 2 extra pairs of silicone eartips that are of different sizes are provided to ensure that the user will have the perfect fit. A spare ultrasensitive diaphragm and ID tag are also included. It has a lifetime warranty and its parts can be replaced free of charge under the Free-Parts-for-Life Program. 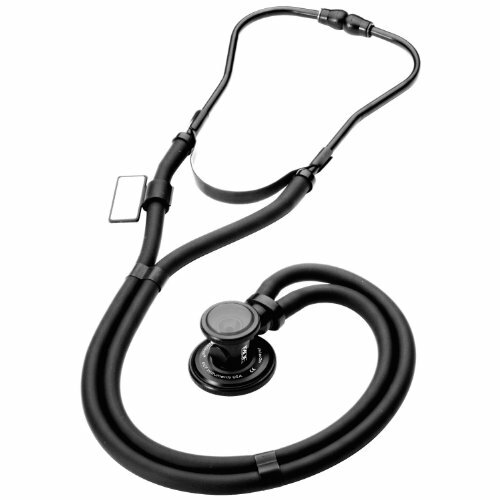 The healthcare professionals who used this stethoscope is more than satisfied with its performance. The eartips are very comfortable to wear and blocks out environmental noises effectively. The sensitivity of the diaphragm is top-notch and the quality of the acoustics is at par with the more expensive counterparts. Its weight is also an advantage especially to those who have to wear this on their neck the whole day. There may be those who finds it hard to hear murmurs and bruits but adjusting the headset seem to do the trick. The length of the ear pieces seem to be too long to some individuals. This unique stethoscope is the first of its kind in the market. It is an evidence that a high performance stethoscope can be lightweight as well. The patented dual-head chestpiece is made from aluminium and handcrafted for improved durability. It is built with 3 real bells and 3 separate diaphragms in adult, pediatric and infant modes. The chestpiece can easily be converted into 9 configurations. The dual-output, full rotation acoustic valve stem is patented and feature SoundTight™ GLS technology to seal in the sound. Each diaphragm has a non-chill retaining ring and is able to pick up heart and lung sounds of 100Hz to 1000Hz. The cardiology bells, which is surrounded by the same ring, deliver greater sound amplification and isolation of low frequencies from 20Hz to 100Hz. The acoustic tubing of this stethoscope follows the patented A2X design. With this, 2 uninterrupted sound channels are maintained to preserve the sound quality while effectively blocking out environmental noise. The latex-free PVC material maintains its flexibility and prevents it from cracking. The Comfortseal™ eartips that comes in 2 sizes enables the individual to find the perfect fit. It is around 30” long and weighs 6.9oz. This cardiology stethoscope is available for $100.00. The product is available in 3 color schemes and can be engraved upon request. Accessories included are spare ultrasensitive diaphragms and an attachment clip to store unused bell and diaphragm attachments. It has a lifetime warranty and replacement parts are given by MDF for free. This product has mostly positive reviews in such that instrument itself has a very solid feel and the ear tips are comfortable to the user. Heart sounds, murmurs and breath sounds are heard very clearly. The diaphragm is ultrasensitive and the tubing blocks out ambient sounds. It is lighter compared to other ones which makes it easy to carry around. On the other hand, some finds the tubing is stiffer than other brands and it can be lengthy for others. The MDF Pulse Stethoscope will enable the health professional to maintain eye contact during patient assessment. This is because of the 24-hour liquid crystal analog quartz timepiece attached on one side of the anodized aluminium chestpiece. The diaphragm that is made from ultra-thin fiber allows greater amplification and transmission of lung and heart sounds. This unique approach will allow a more efficient method of monitoring vital signs of the patient. The pre-angled headset is hand polished and made from chrome plated brass has an internal dual-leaf spring construction that doubles its strength. The acoustic tubing made from latex-free PVC has an internal metal-alloy chamber that keeps the tubing open to transmit the sound to the headset more effectively. The user will be able to wear the stethoscope more comfortably because of the attached soft silicone eartips. It is 29.5” in length and weighs 5.4 oz. The pulse stethoscope can be purchased for $50.00. It is available in 6 different colors and engraving option is also available. There 2 extra pairs of silicone eartips, spare ultrasensitive fiber diaphragm and ID tag included in the package. It has the same lifetime warranty as with the other instruments and replacements parts are provided for free if the user will encounter any problem. The experience of consumers with the instrument is mixed. The placement of the LCD clock makes it very easy to count respirations and pulse without changing the angle of the head to look at a wristwatch. Sounds heard such as breath sounds and apical pulses are really loud and clear. It is also lighter compared to other stethoscopes. However, there are those who miss the non-chill retaining rim on the diaphragm. They also felt that stainless steel is a better sound conductor than aluminium. Auscultation in a noisy environment would require increased concentration. 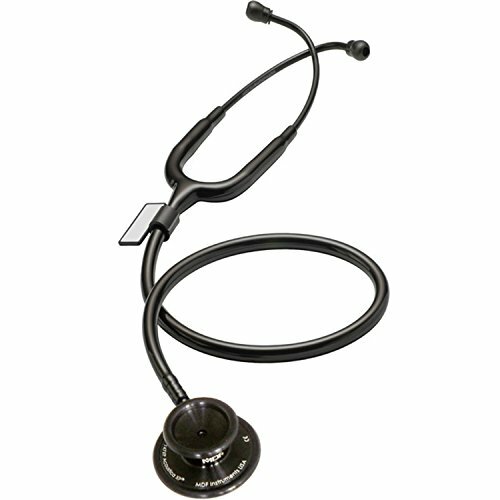 This model is considered to be the most versatile stethoscope in the market. It allows assessment of adult, pediatric and infant patients just by simply changing the diaphragm with the other ones that are included in the package. This multi-purpose instrument is able to detect faint heart sounds and murmurs. The convertible dual-head chestpiece is handcrafted and made from zinc-alloy but plated with gold. It also has the full-rotation dual-output acoustic valve system to change the sound channel. The green dot indicator allows the user to identify the active one. Its pre-angled stainless steel headset is hand polished and features an internal dual-leaf spring construction that makes it more long-lasting. The comfort eartips are made from phthalate-free silicone and are connected to the headset through the patented SafetyLock™ adaptors. The tips are made to be clear for hygienic purposes. The latex-free dual PVC acoustic tubes provides adequate insulation for superb sound transmission and suppress ambient noise. Its thick and dense nature makes it resilient from cracking and breaking after repeated use. The tubes are secured in place by chrome-plated brass acoustic tube clasps that are non-pinching and non-obtrusive. This stethoscope is 29.5” inches long and weighs 16oz. The MDF Deluxe Sprague Rappaport X is available for $32.00. There are 11 colors available that customers can choose from and an engraving can be added on the chestpiece. Aside from 2 extra pairs of silicon eartips, other accessories included are spare adult and pediatric clear PVC diaphragms, pediatric diaphragm assembly, pediatric bell, infant bell, and an ID tag. It has a lifetime warranty and replacement parts are provided free of charge. According to the medical professionals who have used this stethoscope, the sounds were louder which makes them audible even in noisy environments. The heart and lung sounds were crisper and have more depth when compared to the costlier brands. It is very solidly built and able to endure hard wear. They also find the eartips to be more comfortable to wear compared to similar priced alternatives. The quality of MDF stethoscopes is their edge against their competitors. Their use of high-grade materials make their instruments more durable and long-lasting. The lifetime warranty and Free-Parts-For-Life program are great after-purchase services that no other medical instrument manufacturer can offer. When reviews of MDF instruments are read, users only have praise for the quality of the products that they received. For those who had to avail the free parts program, they were very satisfied with how their issues were handled. These real life testimonials are further proof of the commitment of MDF Instruments to quality products and customer satisfaction. 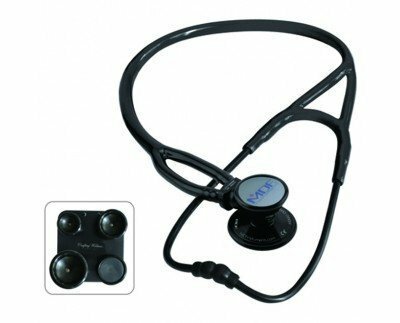 Despite the high quality, the stethoscopes are available at a very competitive price. They perform as well as their costlier competitors and customers don’t feel that they sacrifice the quality to save some money. Other tools which are in the same price range failed to give the same type of performance as MDF stethoscopes. The instruments are very comfortable to the ears and their weight makes it easier to wear it around the neck for the duration of the shift. 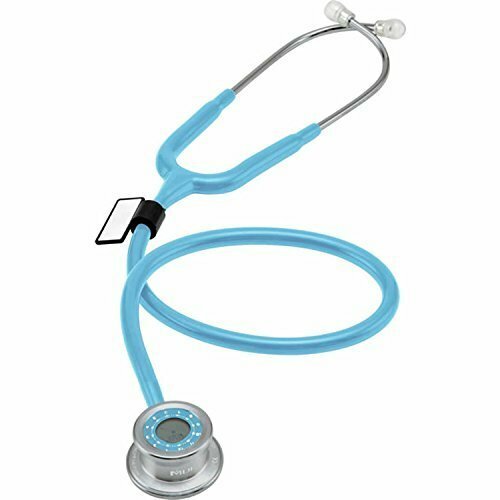 Personalization choices such as the assortment of colors the stethoscopes comes in and the engraving possibility provides more options to health professionals. Some users were reluctant to try MDF Instruments because they thought that the lesser price means it is inferior to the brands that are considered to be gold standard. Once they have tried the product, they find out that the quality is outstanding and it comes with unparalleled after-purchase services. Their positive experience with the product made them loyal to the brand and trust MDF Instruments for their medical instrument needs. This type of occurrence is a confirmation of their mission of helping health professionals help their patients with every instrument that they design and craft.